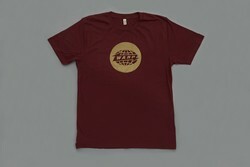 Warp - Burgundy Warp Logo T-shirt With Matte Gold Print. Bleep. 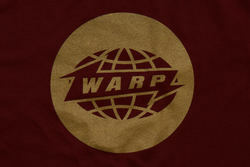 Warp's 2017 Autumn and Winter season rolls around with this stylish and fresh burgundy continental t-shirt featuring the iconic Warp Records logo in matte gold print.